I am really hesitant to whine here on this blog about the heat since it seems summer has really only just begun. But, as those who know me quite well know, this blustering heat is not my favourite kind of weather. And as those who have to live with me in this tiny house of ours with no air conditioning know all too well, the whining has been non-stop all week! 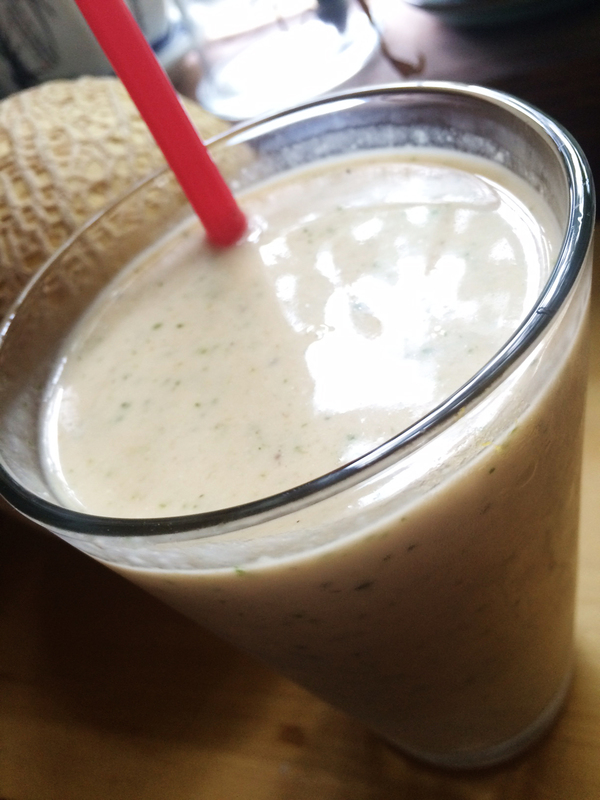 So in an attempt to cool things down on the homefront, I came up with this icy, minty cantaloupe smoothie recipe to fill our bellies without heating things up in the kitchen. It features juicy canteloupe and fresh mint, which is an herb known for its cooling properties. It was a hit and I hope it helps cool things down for you too! 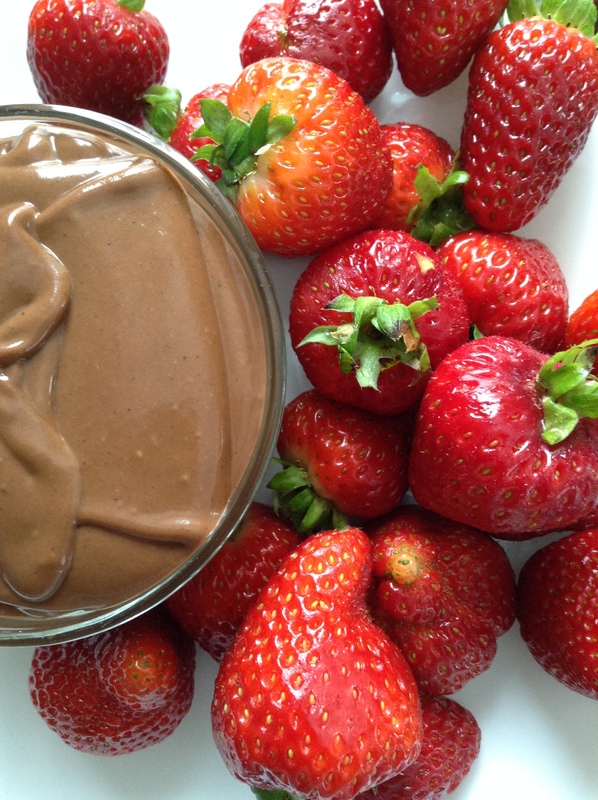 Place all ingredients in a blender and blend. Makes 1-2 servings. 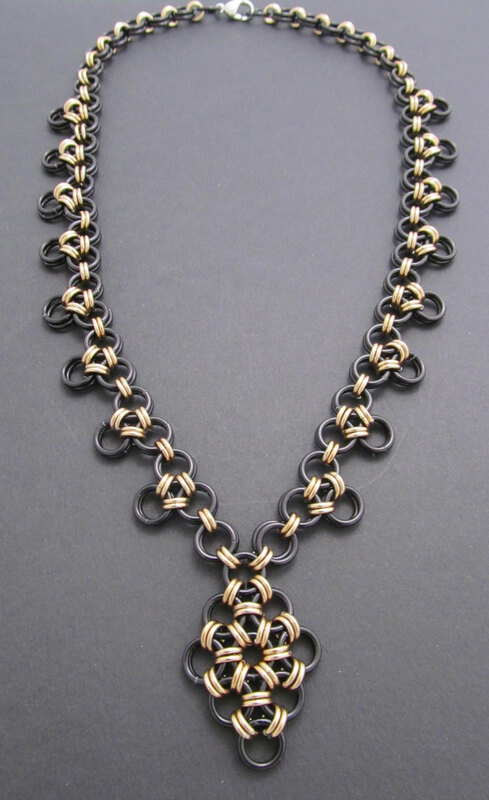 Sarah Crocker is a chainmail jewellery artisan from Goderich, ON. She runs Rogue Wind Chainmail. Find her at this summer’s Goderich Makers Market and at Elizabeth’s Art Gallery. What led you down this maker path? 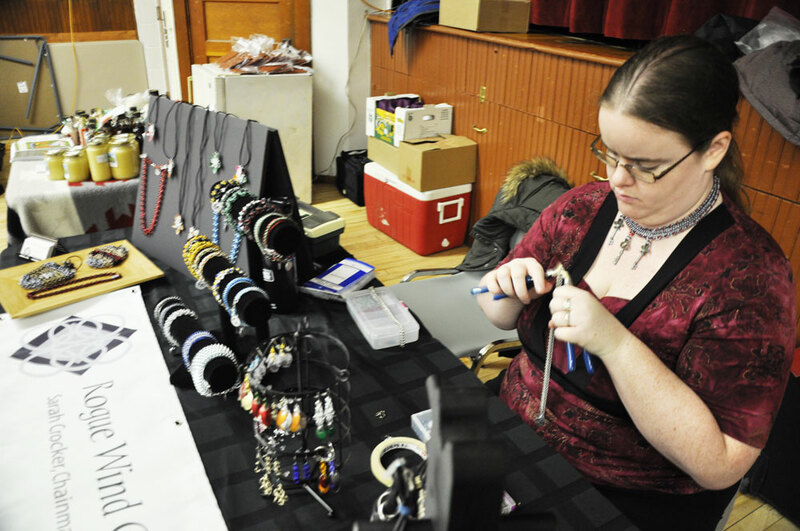 I know someone who does chainmail, and I picked up supplies to try it myself at the annual Ottawa Bead Show. I was immediately hooked! What is your favourite part about being a maker? I love making things with my hands and keeping busy. I am inspired by fellow makers and my general surroundings. The internet helps too! 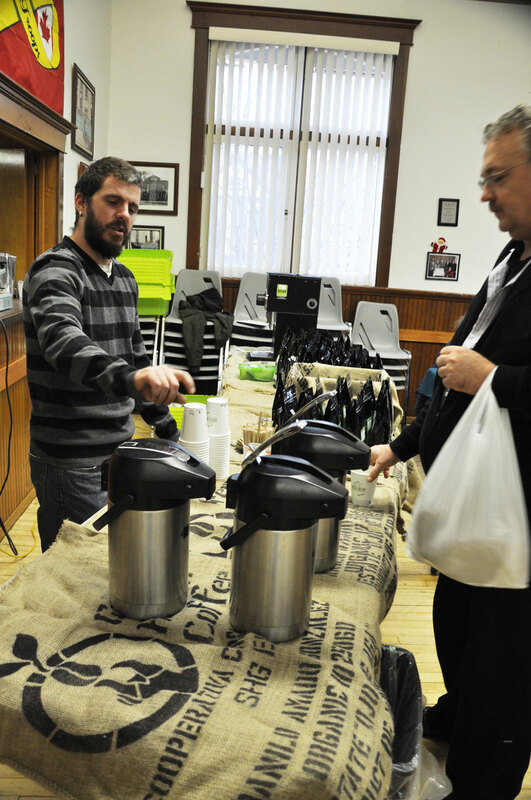 What’s the offering you are most excited about sharing at the Goderich Makers Market? I always try to have at least a few new items on hand. I’ve recently been playing with new pendant designs; they are a lot of fun! There comes a point in the winter season – right about now, actually – when the body starts craving anything fresh, raw, green, red, juicy, homegrown. A girl can only eat so many stews and slow-cooked meals before saying enough is enough – I need salad, I need berries, I need to walk barefoot across the grass to pick my own salad and berries! But while the weather around these parts has yet to catch up to such cravings, and the arrival of anything fresh grown locally is still some time away, it is so refreshing to start seeing glimmers of hope in the local supermarket produce aisle. Mind you, such hope has been shipped in from away, but desperate times call for desperate measures! When I stocked up on beets from Whitefield Farm at the last Goderich Makers Market, I only had two things in mind – salad and cake. 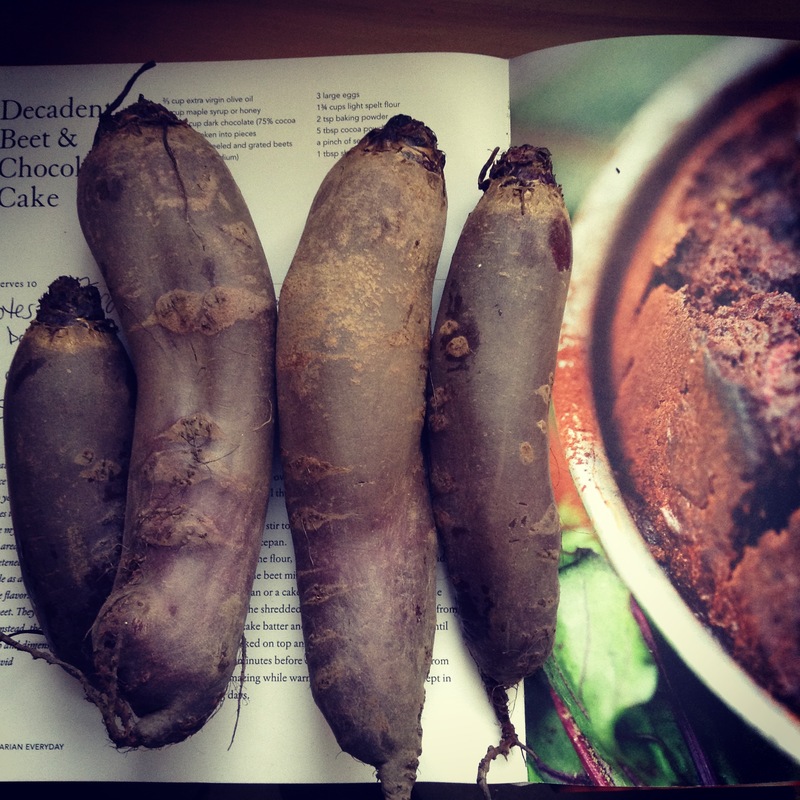 Beets are one of my favourite vegetables to grow, to eat, to cook with, and yes, to bake with. Did you know that beets and chocolate go together like bread and butter? Oh yes they do, and this cake is a perfect example of just how well these two go together. It is a wonderfully delicious, moist, chocolatey cake that the kids don’t need to know is good for them! The only changes I made to the recipe are to sub the eggs for an egg substitute (my favourite flax seed and hot water – 1 tbsp flax seed mixed with 3 tbsp hot water equals one egg) and to add some dark chocolate chunks to make it extra chocolatey. 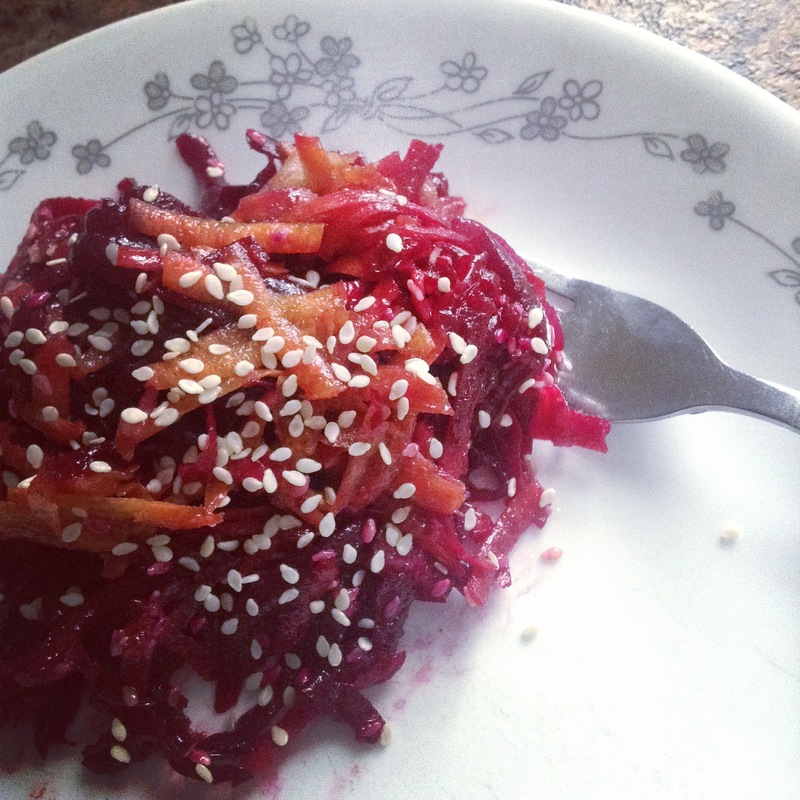 Now that we have all of this chocolate talk out of the way, my second favourite beet recipe is this Scandinavian Winter Salad my good friend Nelda shared with me. This is one of my very favourite salad recipes and I’m thrilled she told me I could share it with all of you! Shred vegetables and mix in a large salad bowl with 1/2 C olive oil and 1/4 c apple cider vinegar. Add a little salt and pepper and you’re all set! Toasted sesame seeds are also great to add. This salad tastes even better after it has had some time to marinate. 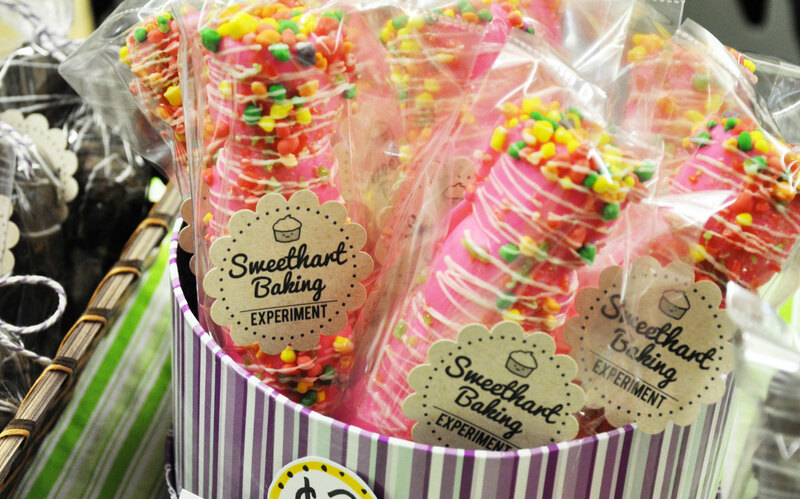 Happy winter baking and making! Thanks to everyone for yet another wonderful Makers Market day here in Goderich! While the weather outside was a little bit frightful, inside the MacKay Hall was warm and cozy, and smelled and looked delicious! 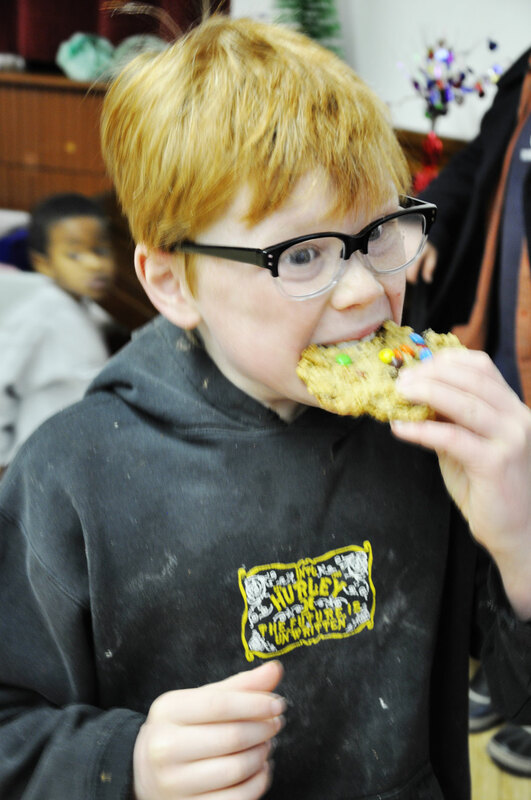 Here are a few peeks at what was inside – find this and more at next month’s market, Feb. 7, coming to the Livery. When we first started talking about creating Feast for Good, we knew that community would always be at the heart of whatever we did. Whether it was through supporting local producers, offering products that promoted wellness, or providing opportunities to come together, building vibrant, healthy community would always be the end goal. What can we say, we love this community of ours and know that when we make the effort to connect with one another, we are all happier and healthier in the end. And so it was, with community in mind, that we began the Goderich Makers Market – the chance for not only the area’s amazingly talented makers to come together to sell their local products, but also the chance for the wider community to support local and to connect with one another. We never, ever could have imagined how well received our little adventure would be by not only the makers, but the entire community. Seems we’re not alone in our desire to connect, to gather, to support one another. It has been so inspiring for us, and we are really looking forward to providing more opportunities to come together in the new year. 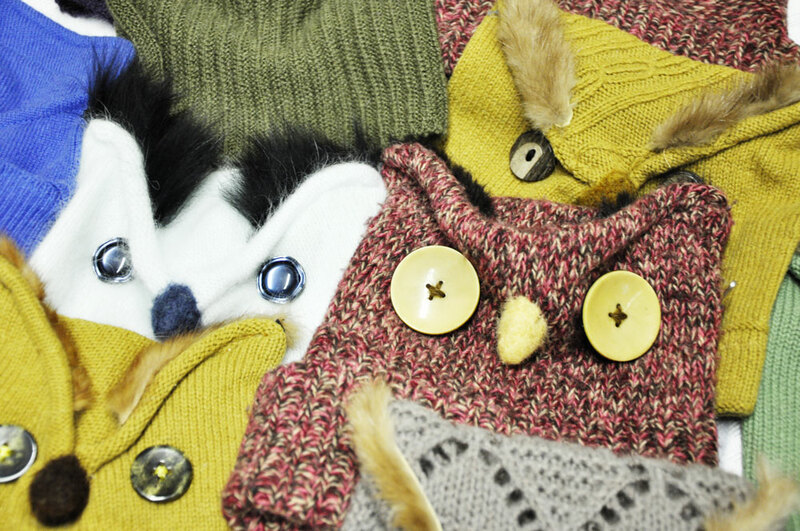 How appropriate that we do kick off the new year with our third Makers Market. Here’s a sneak peek of what’s coming to the MacKay Hall Jan. 3. Looking forward to meeting you there! 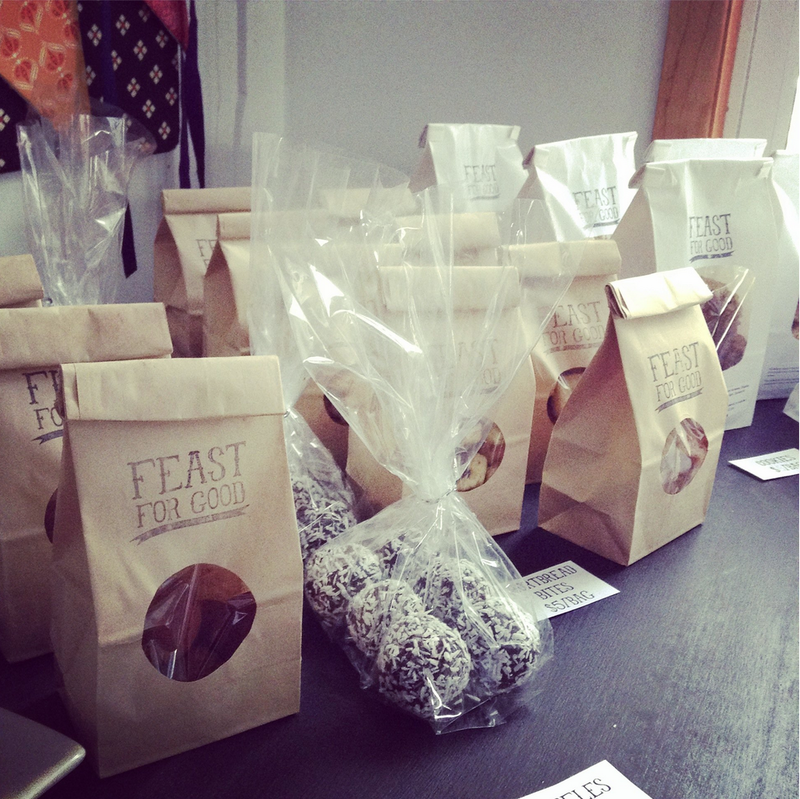 Feast for Good coordinates a monthly Goderich Makers Market and leading up to our Dec. 6 market, we are featuring the makers who will be selling their handmade, handgrown items. Well, we’ve come to the end of our Maker series. What fun it has been to get to know all of our local makers just a little bit better. I love to hear what inspires people…it’s inspiring! And we thought we would wrap things us with a little bit about us! 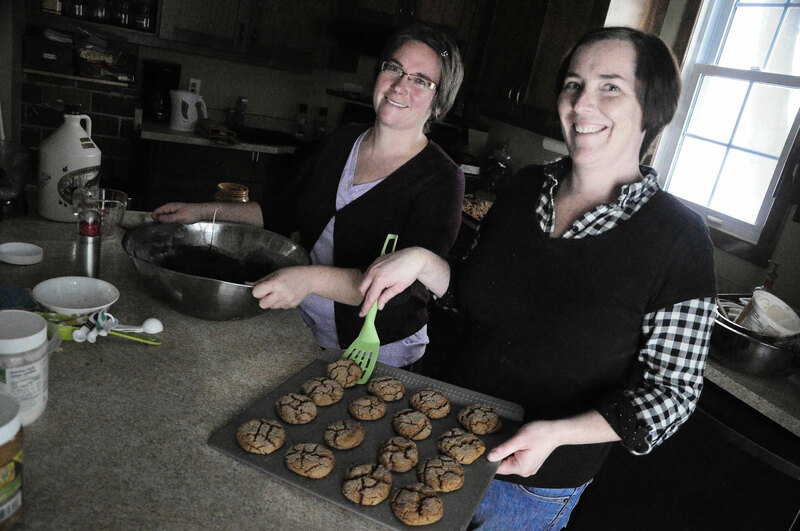 Donna Jean Forster-Gill and Amy Zoethout are the dynamic duo behind Feast for Good and here is our maker story. DJ: I like making things – I’ve always enjoyed cooking especially in large quantities – which I think I inherited from my grandmother who had 12 children. 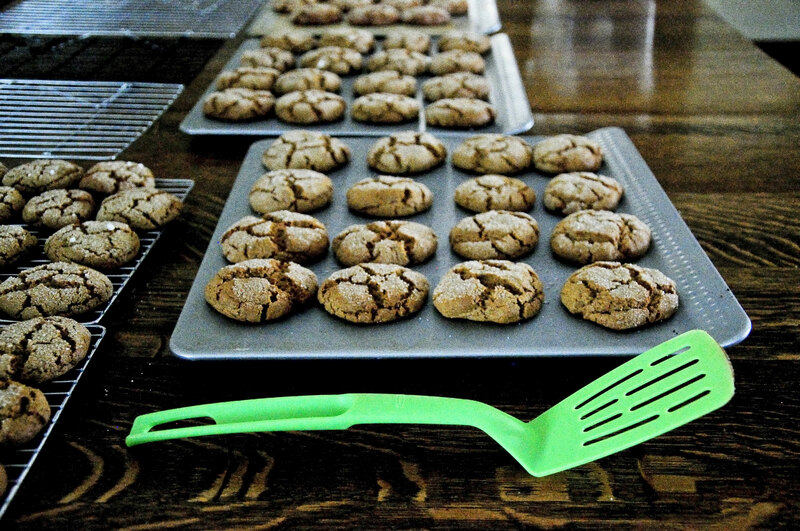 Amy: One of my favourite childhood memories is learning how to make peanut butter cookies…okay, eating the raw peanut butter cookie dough would actually be my favourite part of that memory, if I’m completely honest. And I’ve been baking, and enjoying raw cookie dough, ever since! But it has only been in recent years that I’ve come to realize that my gift to the world is not sitting in front of a computer all day, it’s making and baking and spending time being all sorts of creative. DJ: Favourite part – working with Amy as part of a team to see what great plans we can hatch next! I wouldn’t have ventured out to do this on my own so it’s a great privilege to make with someone else so creative and adventurous. Amy: It’s Fridays and the time spent in the kitchen with DJ cooking and baking and scheming and dreaming, and knowing that one day all of those dreams and schemes will come true…they have so far! So I guess that’s really my favourite part about being a maker – making anything happen! DJ: Inspires me? 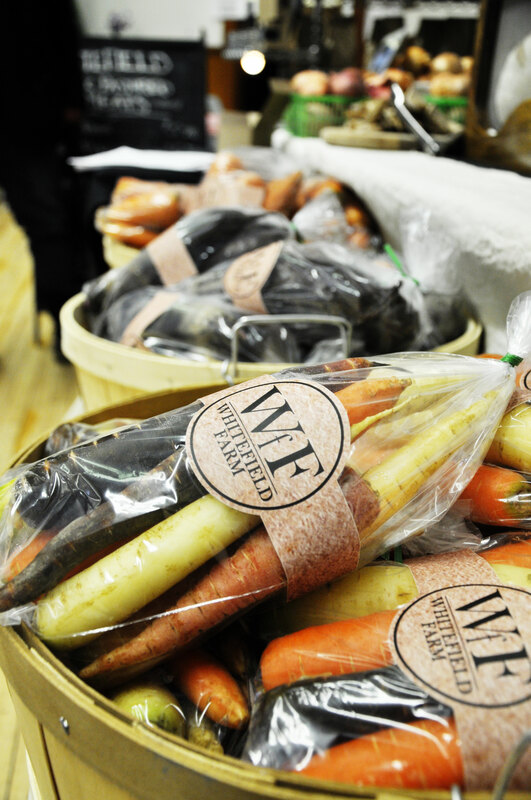 All of the wonderful local producers we have right in and around Goderich – together we are all amazing! There is so much tasty produce and fine art and innovative crafters all right here – it’s inspiring to be a part of this grassroots activity. Amy: It’s my son Nathan who inspires me. 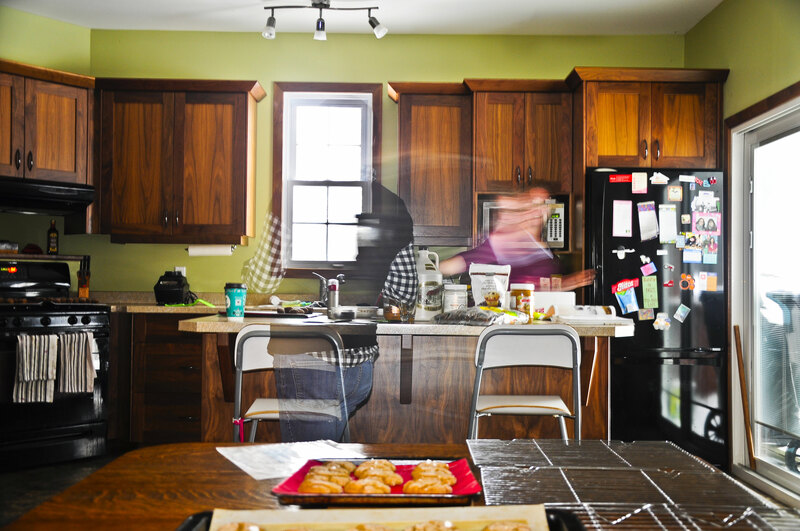 There is nothing like a life-threatening food allergy to spark your creativity in the kitchen. And when you find yourself suddenly unable to use dairy and egg products in any of your cooking and baking, you need to get creative pretty darn fast. And I was determined to push the limits of conventional baking recipes to come up with something for him that not only resembled an egg-laden cookie, but to make it even better. Don’t get me wrong, there were many, many, many failed experiments. But I don’t think I would be here today if it weren’t for those failures. What’s the offering you are most excited about sharing at December’s Makers Market? 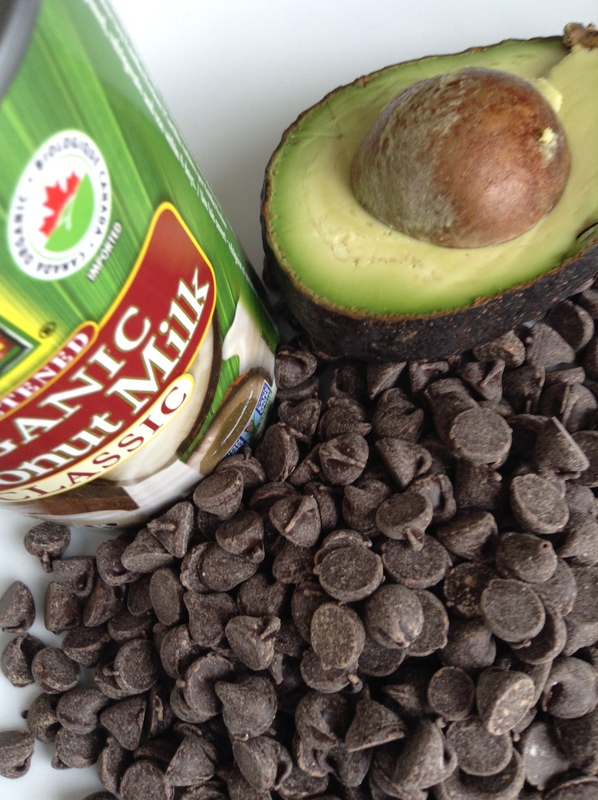 Amy: Our focus has always been on offering products made with whole, healthy ingredients as much as possible. 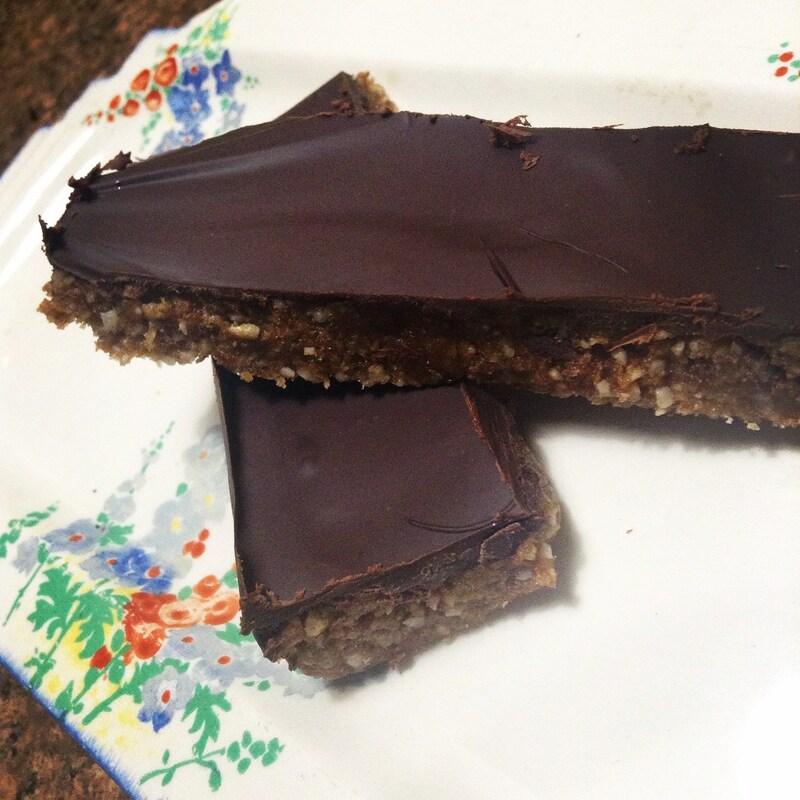 And yes, I’m excited to share our healthier version of a chocolate bar – they are pretty amazing, if I do say so myself. But it’s Christmas – the season of indulgence. So what I’m most excited about are our sugary, marshmallowy, minty hot chocolate cookies. They are decadent and rich and the perfect treat for this holiday season. 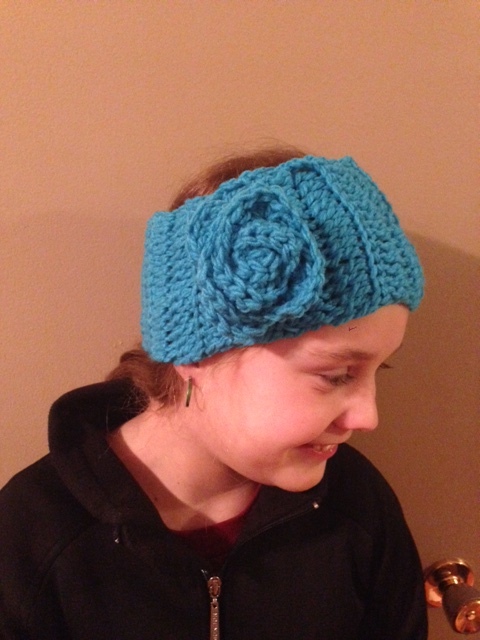 Off the Hook is owned by Kari Hakkers and she’ll be sharing her crochet creations at the market. My mom taught me how to crochet when I was 10 years old. I started out with dishcloths and am now making afghans, scarves, headbands, mug cozies, scarves and other fun projects. I love challenging myself with new patterns, and I enjoy being creative. I am constantly inspired by different textures, colours and patterns! What’s the offering your are most excited about sharing at December’s Makers Market? 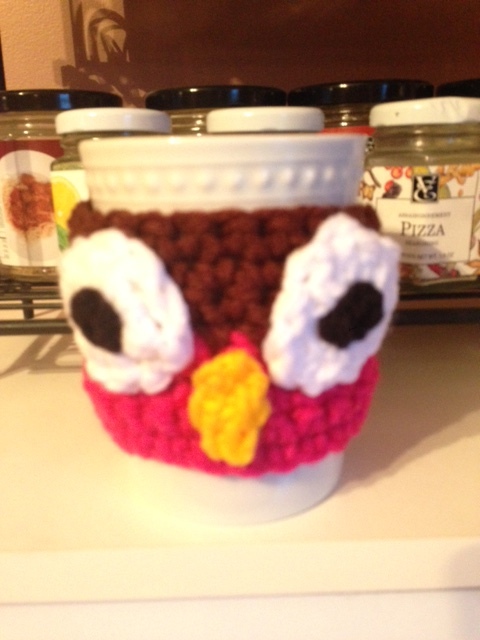 I am most excited to showcase the cute mug cozies and scarves at the Maker’s Market! Terry Simmons of Tan Cottage will be sharing her natural products, beeswax candles, herbal jams and jellies, and more! What led you down this maker path? A former teacher, I have raised Border collies for over 40 years, & have trained them on sheep, which I started to shear, card, spin & knit into socks, mitts, hats & other felted & woolen projects. I have two beautiful angora rabbits who in exchange for lots of love & some good food, provide me with the most incredibly soft wool to blend with sheep wool for these projects. I am also a Homeopath, who discovered a lack of good natural products, so I have created a holistic natural base cream to which I add the relevant essential oils for a person’s specific ailments. There is also salves, soaps & pure beeswax candles, herbal jams & jellies. What is your favourite part about being a maker? Now that I have retired, my favourite part of being a maker is the creative process of working with my raw materials to develop products & crafts that are of interest to me and hopefully needed & beneficial for others. That is my inspiration……..and is what I am most excited about offering at the Maker’s Market. I provide holistic, natural products that are all made by hand. Hillsview Farms has been a staple of the Goderich Farmers Market for many, many years, so we were thrilled when they decided to join us at the Makers Market! We started doing Farmer’s Markets 20 years ago in 1995 when we bought our existing farm. We started out with a greenhouse Nursery and buying local product to sell. Through the years we started producing more and more of what we sell. Currently we farm 20 acres in produce and grow everything completely chemical free. We have a large family and most of our family is involved in the farm and in the marketing. In the summer we currently attend 7 markets a week, and run 2 produce stands 4 days a week. 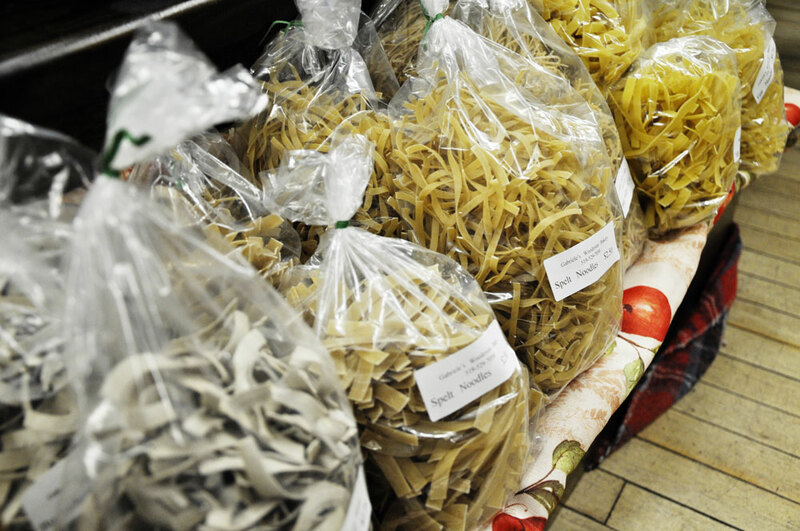 We also attend 1 market in the winters in Toronto. We started this business as a way of earning extra income for the family while Wanda stayed home to raise 7 children. We enjoy everything about it. We love the growing part, being out on the land, watching things grow, and being part of God’s great outdoors! We also love the selling part, getting to know our customers and having them become part of our family too! Producing something really great! We take pride in our products. We want to insure that our product is always the freshest and best quality that is humanly possible, and if for some reason it isn’t, to make sure we make it right. We still have some great product left! We still have potatoes, carrots, onions, beets, leeks, cabbage, squash, brussel sprouts, peppers, tomatoes, and apples. During the Winter: By order or at the Goderich Makers Market at the Huron County Museum Nov. 14-Dec. 19, 9 a.m.-1 p.m.